UNIFI is an initiative of the Chair of Next Generation Networks (AV) at the Technische Universität Berlin aiming at building sustainable teaching and research infrastructures in the areas of Future Internet through global collaboration among academic institutions. the creation and development of an open, general purpose, and sustainable large-scale shared Next Generation Networks Infrastructures & Future Internet Technology Experimentation and Research Facility via federation of interoperable local testbeds. 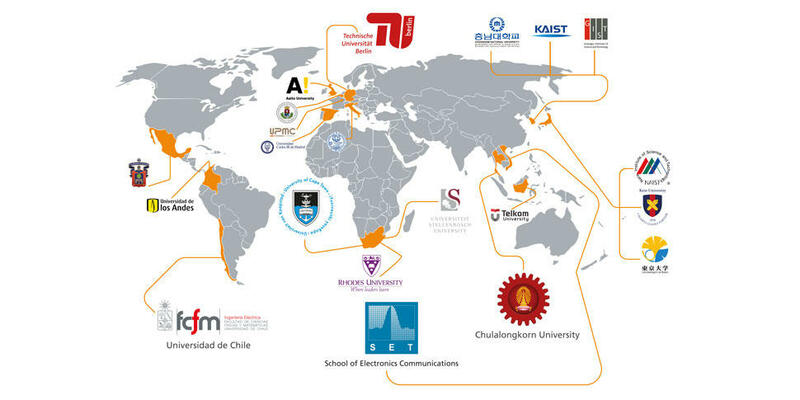 Started in January 2012 and running until the end of 2015 and, financed by the DAAD - German Academic Exchange Service, the project adopts the UNIFI approach and focuses on developing countries from the southern hemisphere. Participants of the project are Technische Universität Berlin (coordinator), University of Cape Town (South Africa), Universidad de Chile (Chile), Hanoi University of Science and Technology (Vietnam) and Chulalongkorn University (Thailand).